Don’t you love free decor? And don’t you love it even more if it looks just amazing? Well then, you will love today’s post! 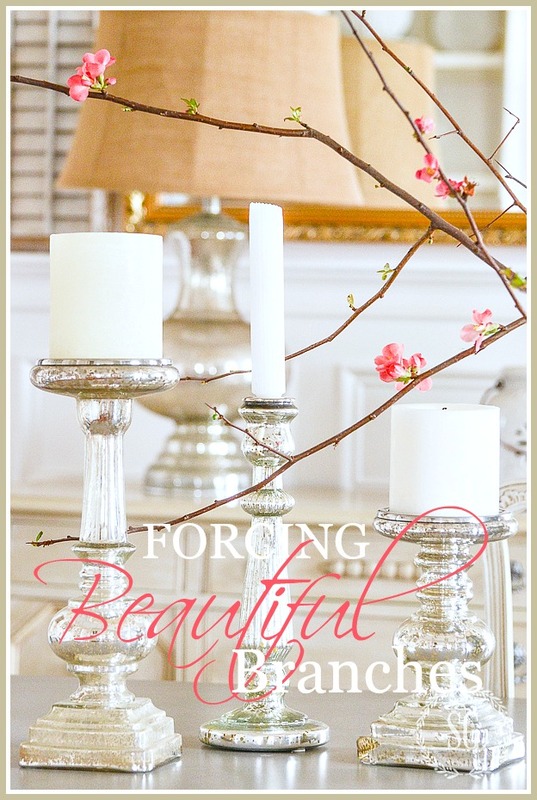 I was so sad when the forced branches I had been babying finally dropped their blooms and were done. They looked so so pretty and I wished I had more. All I had left was a bunch of great bare branches! They were too pretty to throw away. So I came up with an idea of making my own blooms for the branches. These blooms won’t drop or die either! 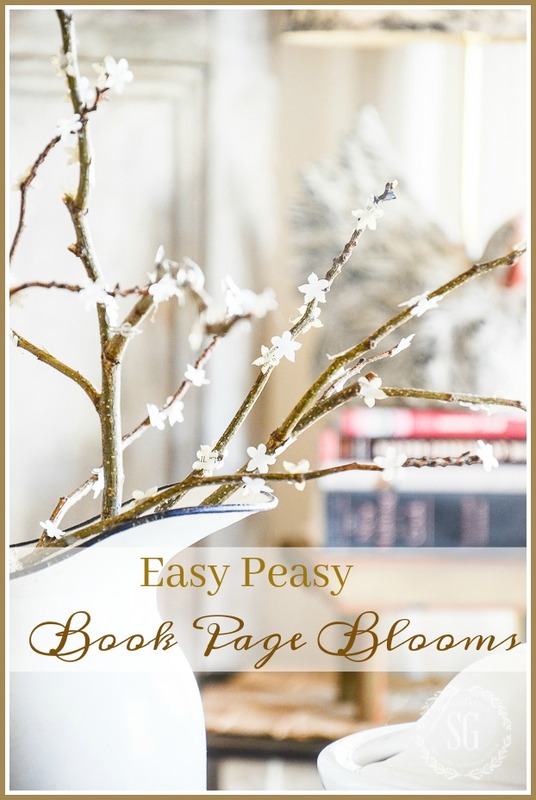 So being a fan of book page creations I make my own book page faux blooms on twigs! Even if you are not crafty, you can do this!!!! 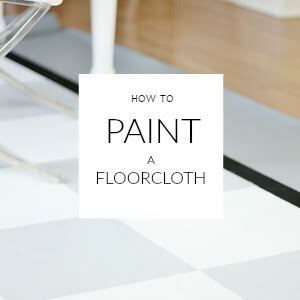 Did you listen to our current episode of Decorating Tips and Tricks? It’s all about finding HIDDEN STORAGE SPACES in your home!!! No matter what size our homes are we can always use more storage! And listen HERE to all our 31 episodes and get the show notes! 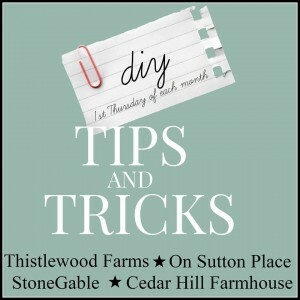 Today is DIY TIPS AND TRICKS! You can see other great posts at the end of mine! 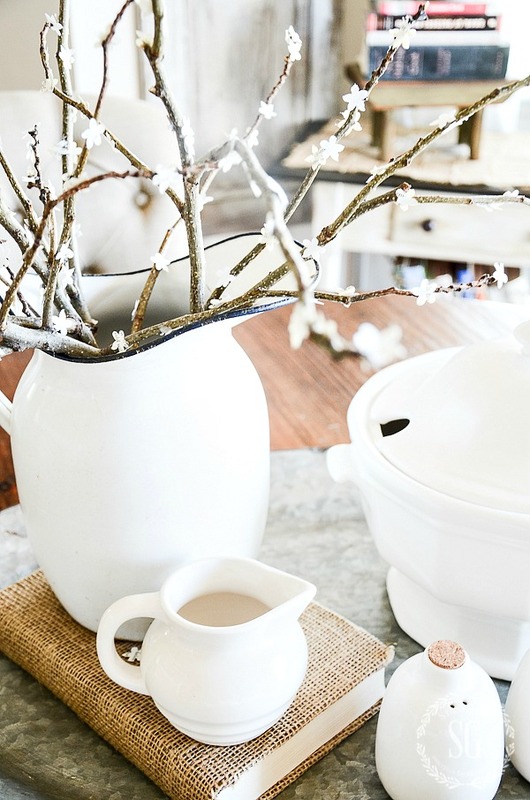 You won’t believe how easy this DIY is and how pretty your branches will look! I chose to use pages from old books to cut out my little blooms, but you could use tissue paper or craft paper or paper bags… You are only limited by your imagination! I transferred some of the branches to an old enamel pitcher and made a little vignette on my breakfast nook table. The little flowers are so delicate looking! flower punch I got mine HERE. Hot glue the little blooms on the branch. Glue on all sides of branches. When flowers are glued and the glue is dried, blow them on the hot setting of a hair blow dryer to get rid od hot glue spiders. You might like to follow me on Pinterest and see all the great things I am finding to pin every day HERE. this will be my weekend project AND then later in the week the punch arrives… I will be ready. FUN project. –thank. you. Linda of No.Cal. 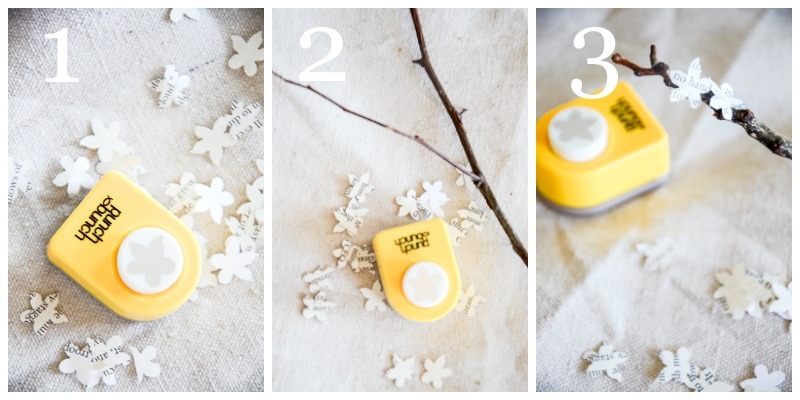 Such a cute idea, pinned it , love the little book flowers. 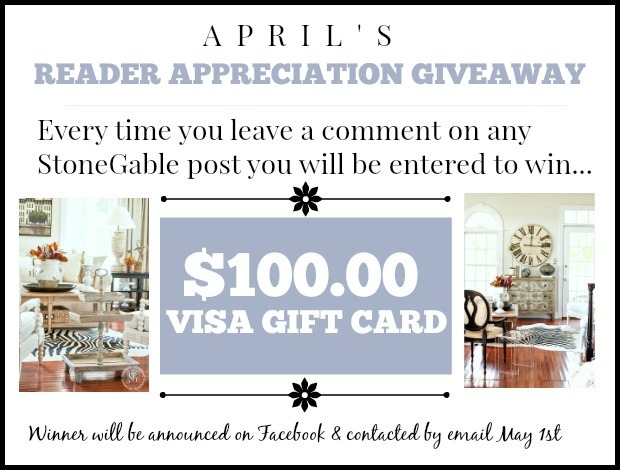 When I ready to decorate I look at your posts and then go to my treasure trove and pull out all kinds of new vignettes inspired by your lovely pictures. I’m so glad to have found you! I have been sick and I am behind on everything but i clicked on this today and I am so glad I did! I bet my granddaughters would love to make these! Instant Spring! 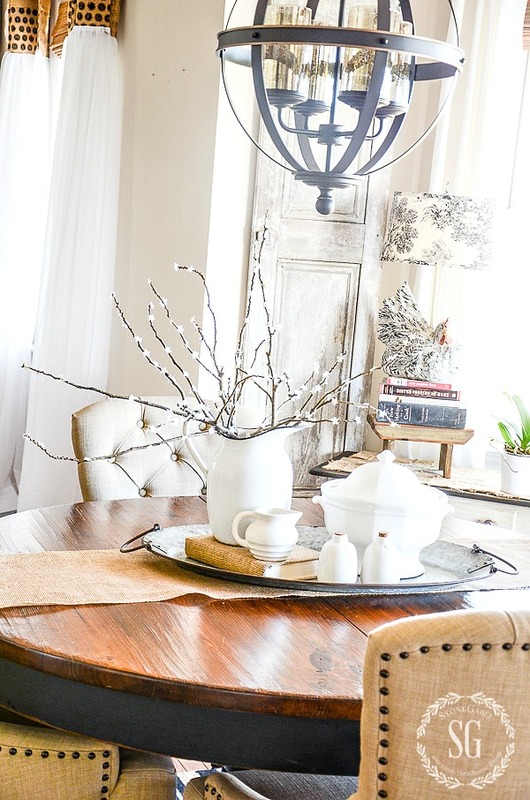 Incredibly clever idea….so many bare branches have such great texture and shapes! So easy!! I listened to the storage podcast. Very good stuff! One thing you all covered lightly was the hidden storage under the sofa. Those that have sofas with high legs can fit beautiful coordinating storage boxes/baskets under their sofas, and it looks great! Many people have a low-standing sofa (short legs) and can’t store much under them. However, I found that under my low standing sofa (in my Wee Abode) I can store pieces of wood for craft projects! I had some wood standing on its end in my kitchen for quite a few months.. then realized I had this little hidden storage gem! 😉 No one can even see the wood in its little hiding place! Works like a charm when you have a tiny home with no garage! I could just kick myself! A few months ago I did some trimming on a couple of crepe myrtle trees I have out front; why in the world didn’t I keep the limbs? I’d be willing to bet some of them had some branches on them small enough that could’ve been brought inside and used for projects such as this. You’ve inspired me! I have some “Red” colored branches that I purchased from IKEA, and had no idea what to do with them. 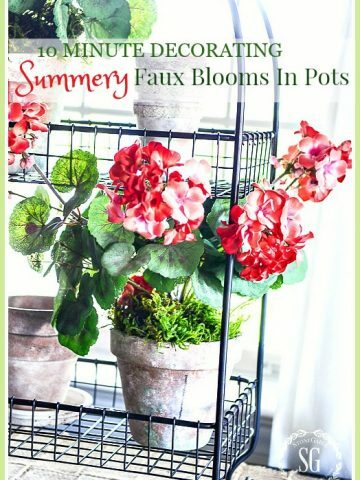 Because of your post, I think I will spray the branches more of a warm brown tone, and apply these adorable little delicate book page flowers. Thank you for always being so inspirational! Enjoy your day! How clever! Aren’t you the creative one?!? What an ingenious idea! I love that you share your excellent decorating tips with all of us. I get so much inspiration from reading your posts. Thank you! Such a cute idea. This is something I will definitely do! 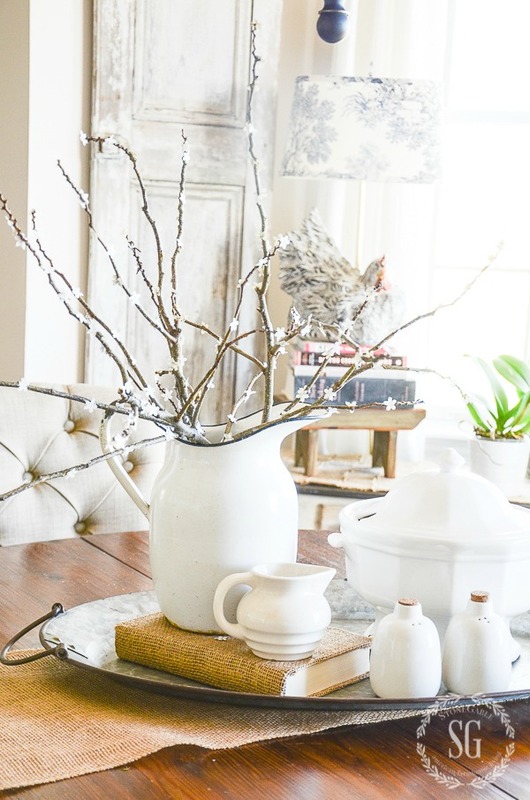 This is really an adorable vignette that you made using those branches. I really like the galvanized tray also. Easy peasy AND free,gotta do me some of that! What a clever idea and one to make Spring last. Wow what a terrific idea! I’m definitely doing this!! Another easy craft, very creative. What an adorable idea!!! I love it! Wonderful diy and a project that 3 of our young grandchildren will get to do with (me) Nanny. Their family will share 3 days with us, so I may include your napkin eggs. I have several white (in my craft stash) wooden eggs that we will use, making it easier to handle, packing when time, “and” I’ve gotten rid of more stuff..Amen! Hugs for helping Yvonne. Love this idea, Yvonne, because for once I have everything. Won’t have to make a trip to Michael’s. Looks easy – maybe I can do it too! Love the easy peasy stuff! 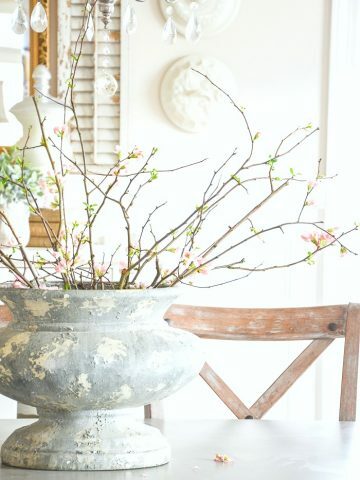 This is perfect for a light, fresh touch of spring! 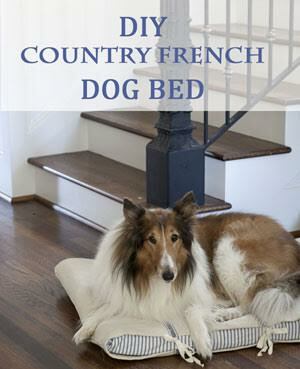 This is truly delightful….how much do you think this would cost at Pottery Barn?!? 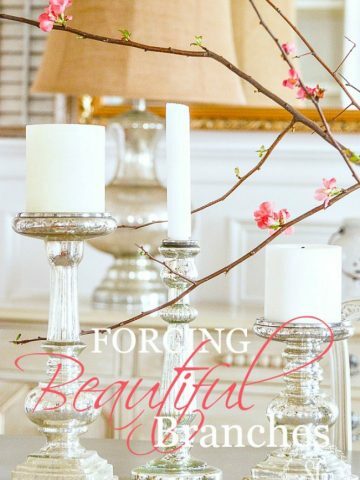 Love the branches and flowers, this would be a great idea for Christmas using stars, etc. I’m going to do this, thanks. Awesome!! What a wonderful idea! I must give it a try! This is great! 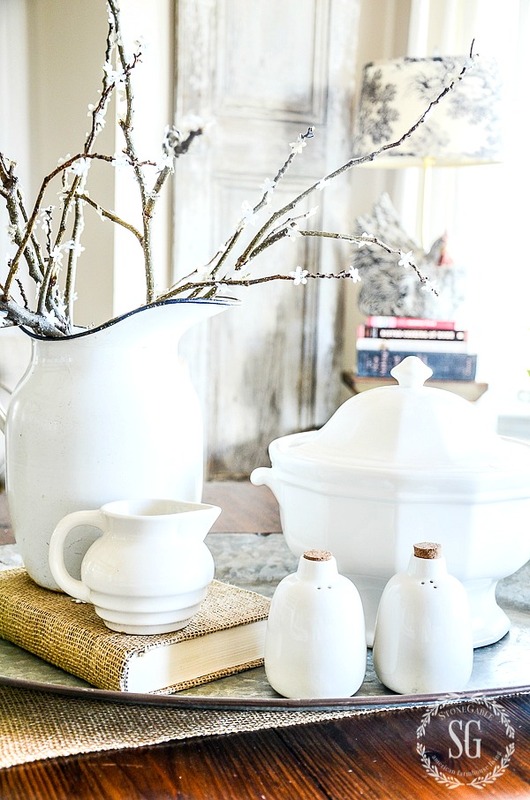 I have a vintage blue water jar that is too tall for many of the store-bought stems. With your inspiration, I can cut a branch to size and make my own. Thanks! Off to the back of the pasture I go. What a great idea! I especially like the idea of using tissue paper. Thank you Yvonne! I can just imagine them crinkled up into different phases of bloom! What a cute idea and easy to do it. Thank you! In your experience with projects which brand of glue gun do you prefer? Love getting ideas from your posts. Any glue that sticks. Hot glue works best for this project. Love this idea! I assume you used tweezers to place the paper – looks like a finger burner for sure! Thanks for all your creative ideas, and happy Easter! Great question! No tweezers Beth. I put the tiniest drop of glue on the branch and then laid the bloom on top of it. Hope this helps. A great idea, especially since I didn’t force any branches. I’d like to try this idea next year with Redbuds, I love their color and dainty flower. The vignette is beautiful, especially with the hen tucked away by the window. I collect ceramic roosters, even though I don’t have a country kitchen. Love the oval galvanized tray! I saw your swan on a previous post and it’s absolutely gorgeous! That is the cutest idea!!! I’m going to do that TODAY! So easy! Thank you so much for this easy peasy idea! Love it! Have a beautiful day! What a cute and clever idea! This is why I love getting your email everyday. You have the best ideas! Thanks Carol! I’m thrilled you are enjoying the newsletter! Thanks for subscribing! Love this idea! I may do some with yellow flowers to mimic forsythia. Love the idea of using yellow paper to mimic Spring and add a pop of color! How easy to do, and they look so real! Love this idea…in the spring, I’m up north, and plants, trees, etc. 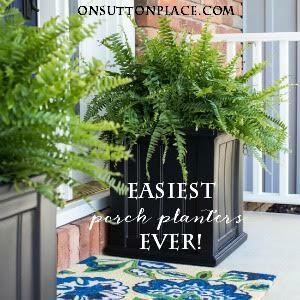 don’t bloom until May, so I’m excited to bring this simple idea to my front porch!!!! Thanks for all the super cute ideas you bring us!!!!!! It’s fun to fake spring!!!! Thank you for your inspiration. You are one talented girl. Cute, Simple and inexpensive. What could be better? Wishing you a joyous Easter with your family! Peace. I just bought a vintage book for $1.00 from the thrift store yesterday and started taking it apart last night! I intend to make an indoor wreath with it, and I may take this idea and add some paper punch flowers to it! How timely is this post!?! Thanks for always sharing your great ideas with us. Blessed Easter! He is Risen! Happy Easter Yvonne! Cute idea! I am going to give this a go! Great idea! Such a cute idea! And easy enough for me to actually do it! Thanks! You are so creative! Such a cute and unpredictable idea! Pretty cute, I would never thought to do that! I have the flower cutter, now all I need I see graceful branches. What a perfect idea! I thought I might try parchment paper; have you tried that? I so loved this project! … such a beautiful project for young and old!!! Happy Easter to you and your family Yvonne! You are sooo creative and yet all your projects become elegant additions to your design, even the cute things!! Amazing!! Just a heads up – you omitted the letter “l” in your headline. Love it! You are so creative. Thanks for sharing. What a cute idea that I never would have thought of. I will definitely have to make some cute book page flowers. Thanks for sharing a neat idea. So simple and extremely cute! Love it!